Pronunciation for Cacahuatl, one of the deities in The Jade Oracle deck. Find out more about The Jade Oracle and explore a new path to the sacred: www.thejadeoracle.com and www.goddess-ink.com Learn more about the deities and symbols that were the core for the ancient Mexican spiritual culture. 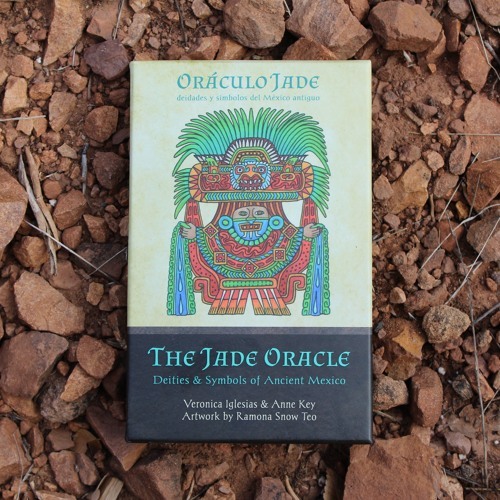 Combining ancient myths and symbols with original art, the Jade Oracle is a powerful divination tool bringing the wisdom of the ancient Mexican cosmovision to a new generation. This boxed set of 52 soulfully illustrated cards is accompanied by a booklet (in English and Spanish) to guide you through understanding the mythology, interpretation, and divination.